I am really missing t-shirt weather, and the sun for that matter. Intermittent snow in February is not the one when all the new season dresses and backless sandals are coming out and we know it's still a couple of months before we can brave that here in England. 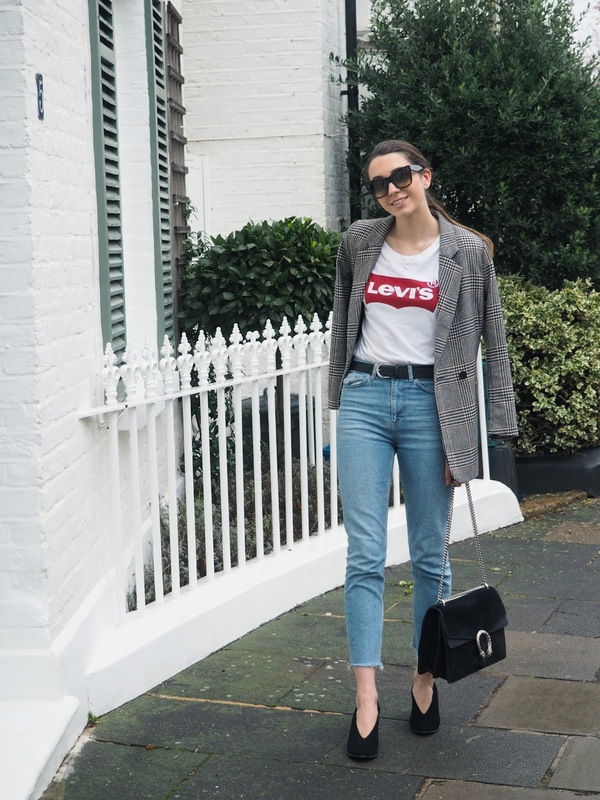 I love the simplicity of this outfit and it is pretty much what I wear most days. Give or take a chunky knit and block heeled pumps for white trainers. 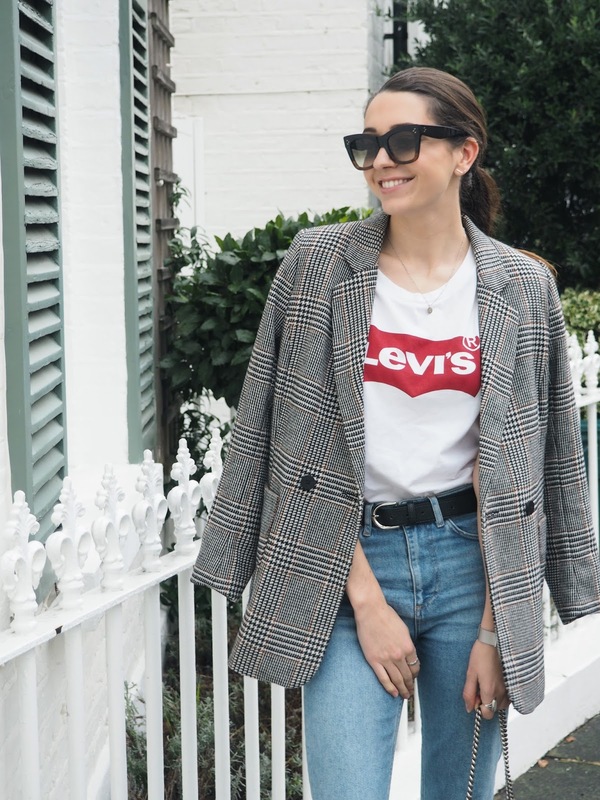 However, this time I am introducing country checks over my everyday tshirt-jeans outfit in the form of a blazer to add a smart, heritage contrast. 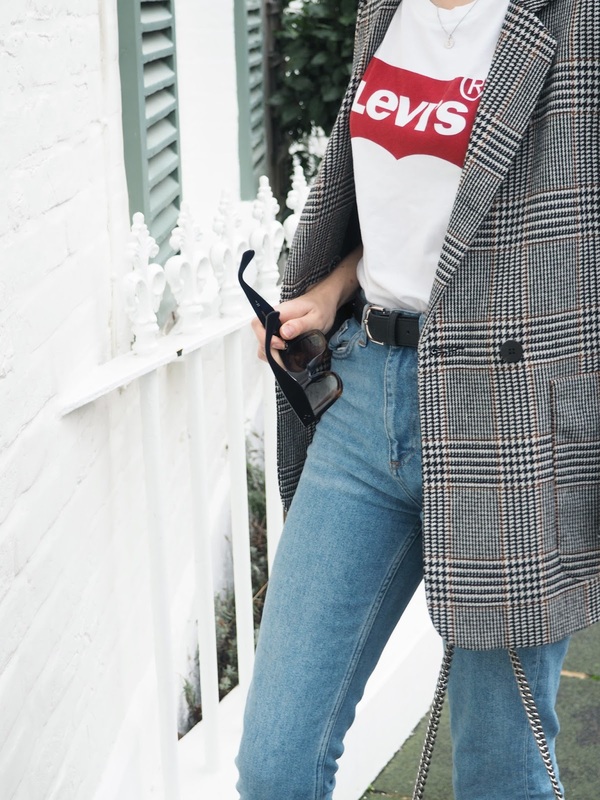 A Levi's tshirt is something I've been wanting to add to my wardrobe for ages now, but just always forget - such a lovely outfit!